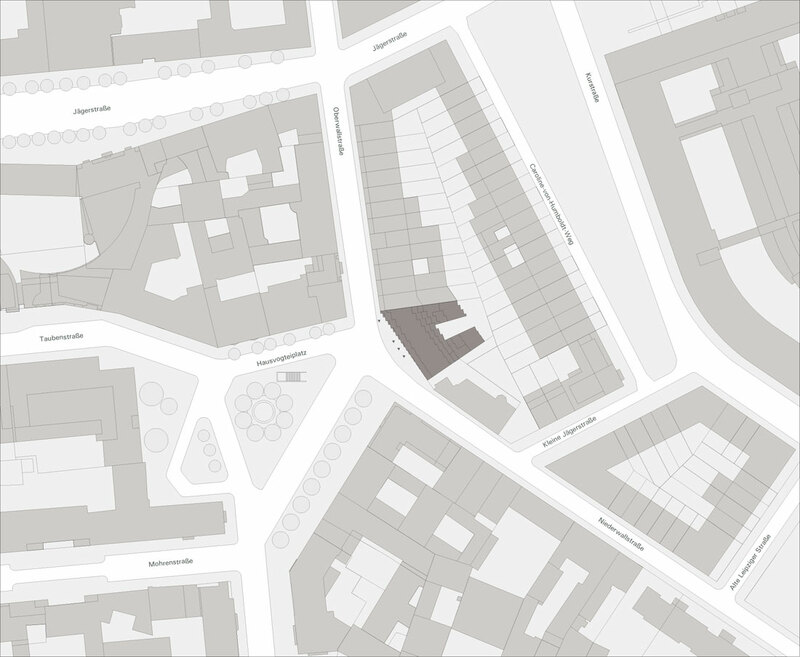 Architecture, show rooms, living and service spaces should merge into a single composition at the location of Hausvogteiplatz. 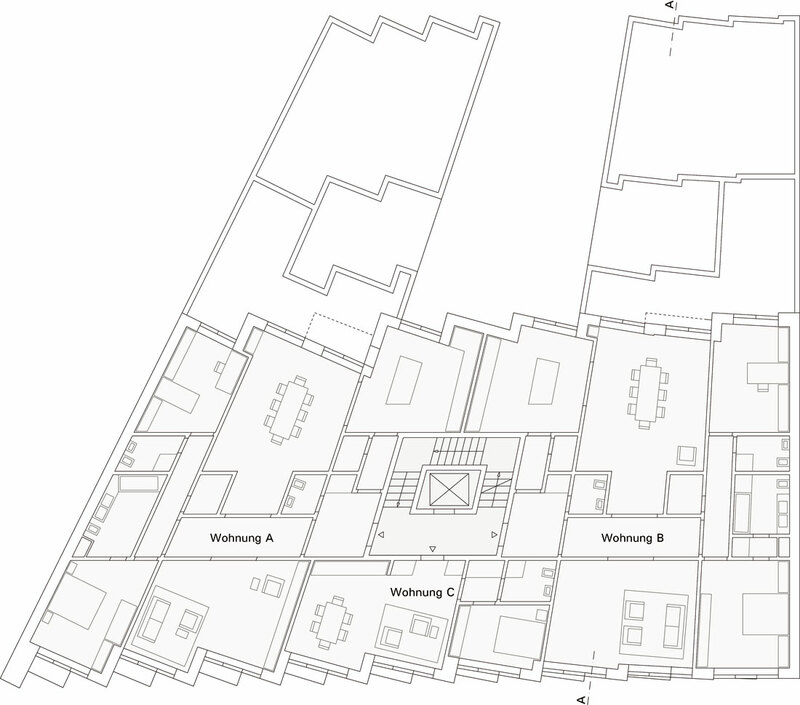 The current design arises from the tension between two existing spatial “systems”: the block of townhouses that, despite their small-scale development, appear as a coherent body and Hausvogteiplatz, which is characterized by Berlin’s typical scale and irregular floor plans. 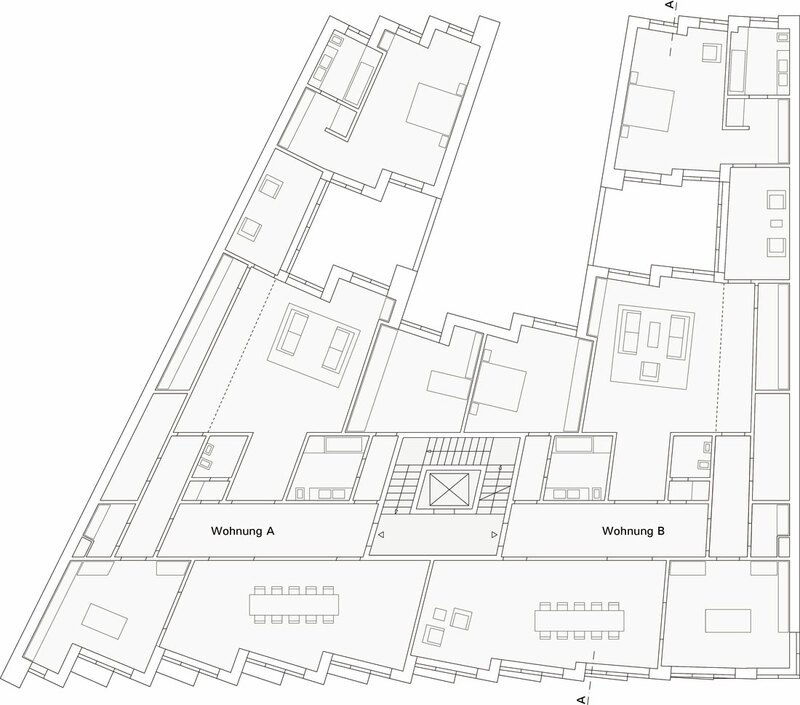 The building fits into these two systems, by referring to the respective scales and the spatial characteristics of its surroundings. 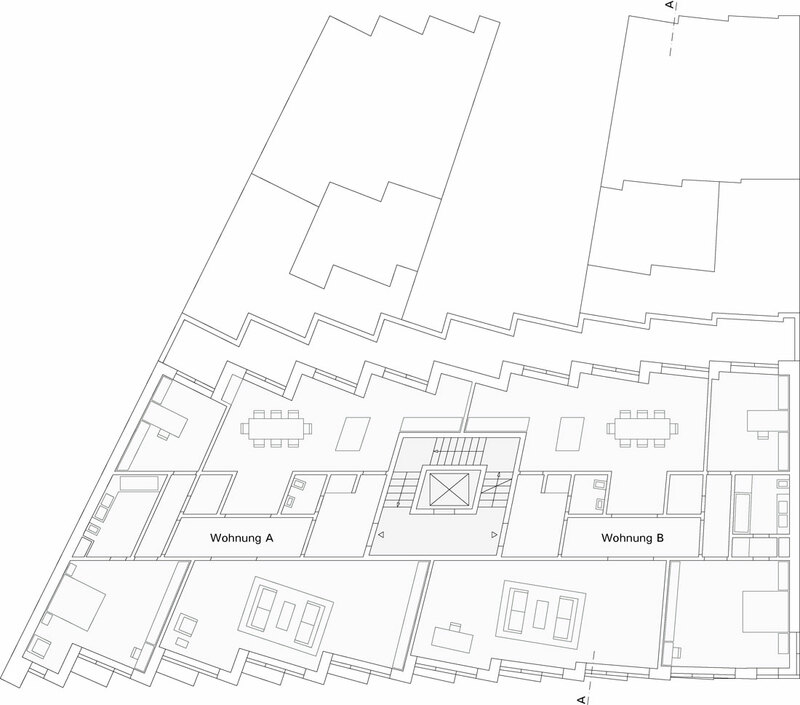 The condition of the entire block is conducive to making a rounded block boundary on Hausvogteiplatz, tracing the course of the road and creating a harmonious transition between Oberwall and Niederwall Street. 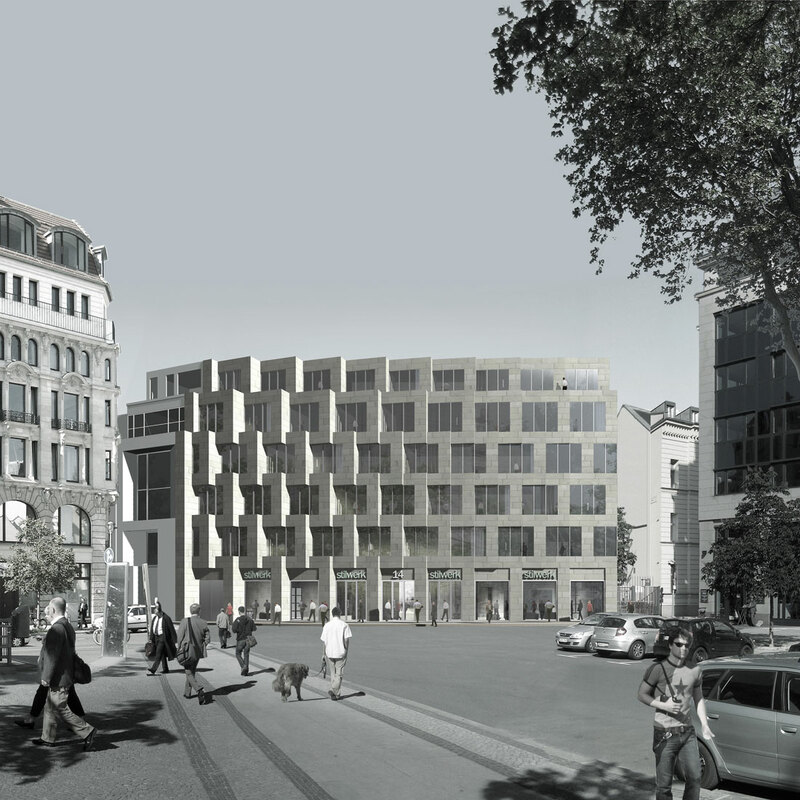 The design resolves this inclination by folding the façade and creating the impression of a rounded building as well as a frontal building on the square. 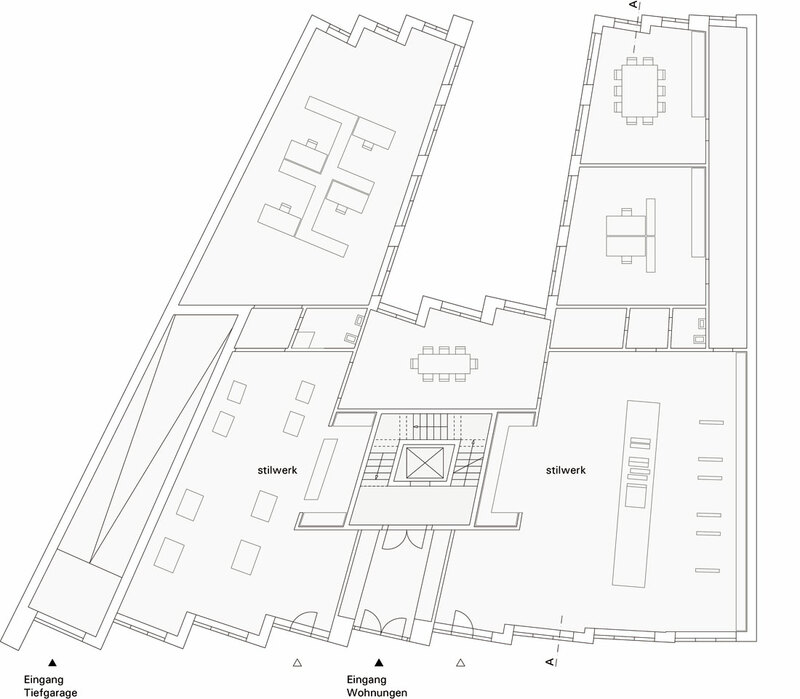 Additionally, the folds of the façade are offset against each other on each storey. The horizontal overlapping of the individual façade modules creates the impression of a woven structure that not only gives the building an inner cohesion, but also establishes a relationship to the history of the site where textile companies were once concentrated. 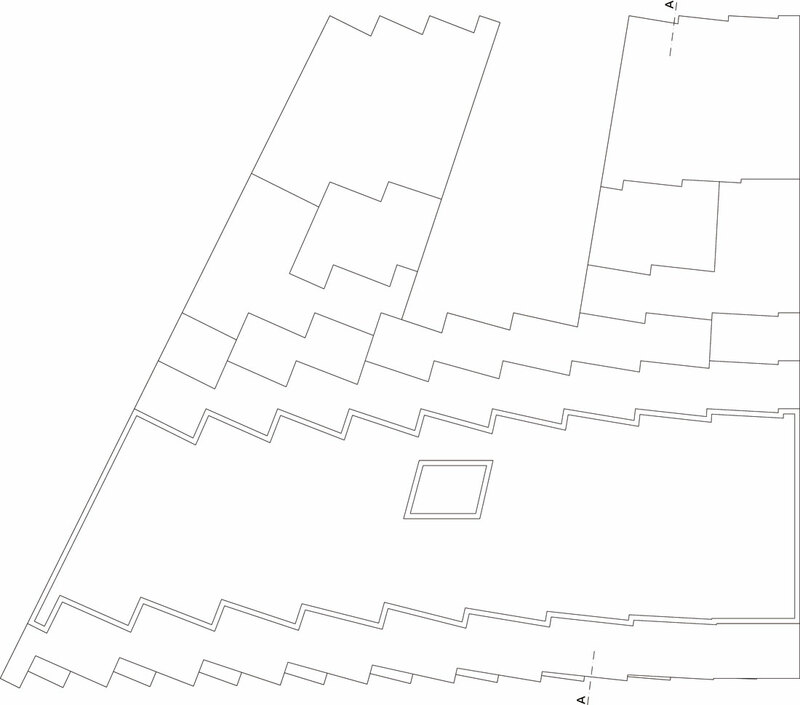 The folding of the façade continues inside the building – the transverse walls are not orthogonal but arranged radially. In addition, the development of the façade conveys the three-dimensionality between the different plasticities of the neighboring façades. 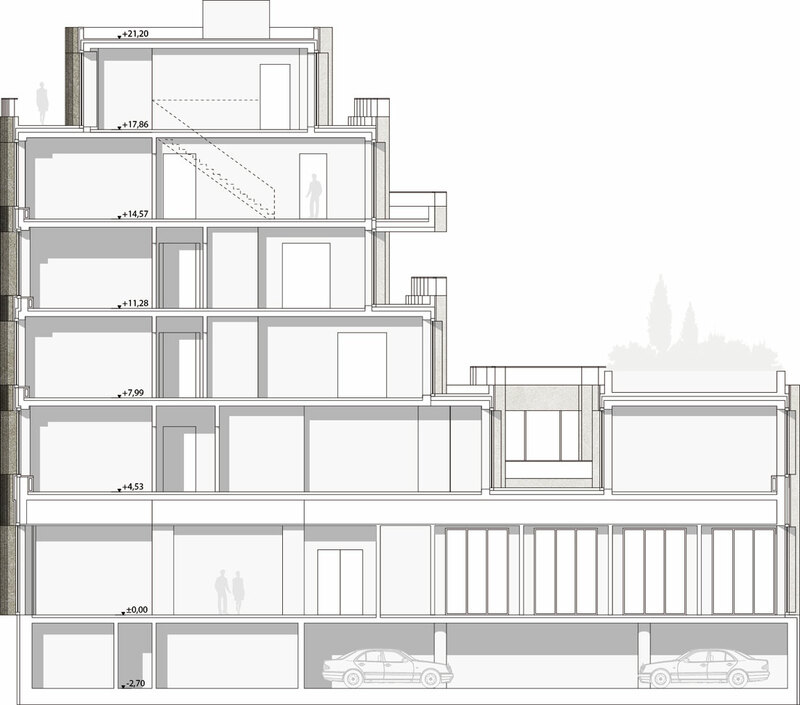 The new structure will therefore be staggered back to the level of the total height of the left adjoining townhouse. 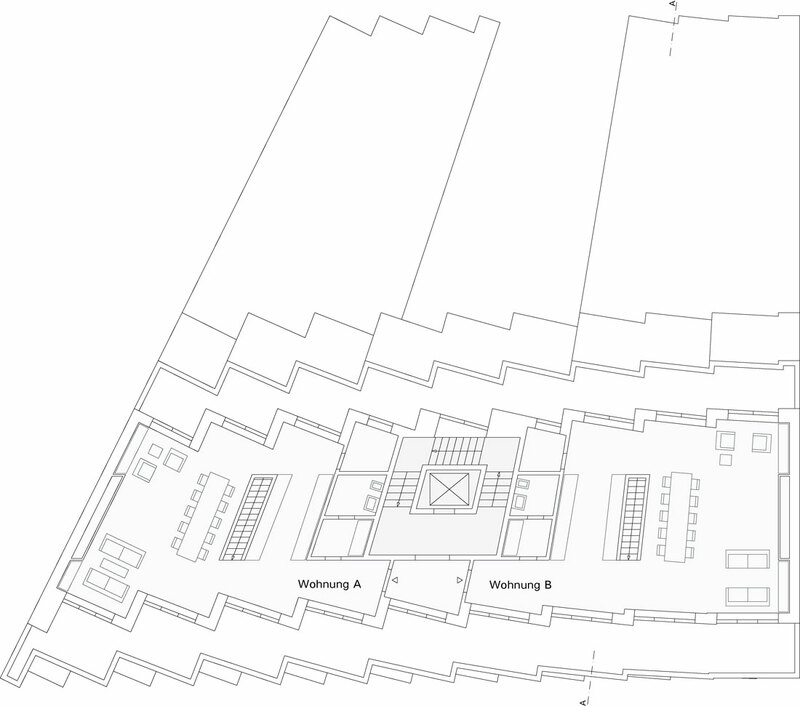 The total height of the new building, however, corresponds approximately to the eaves of the buildings standing on the square. 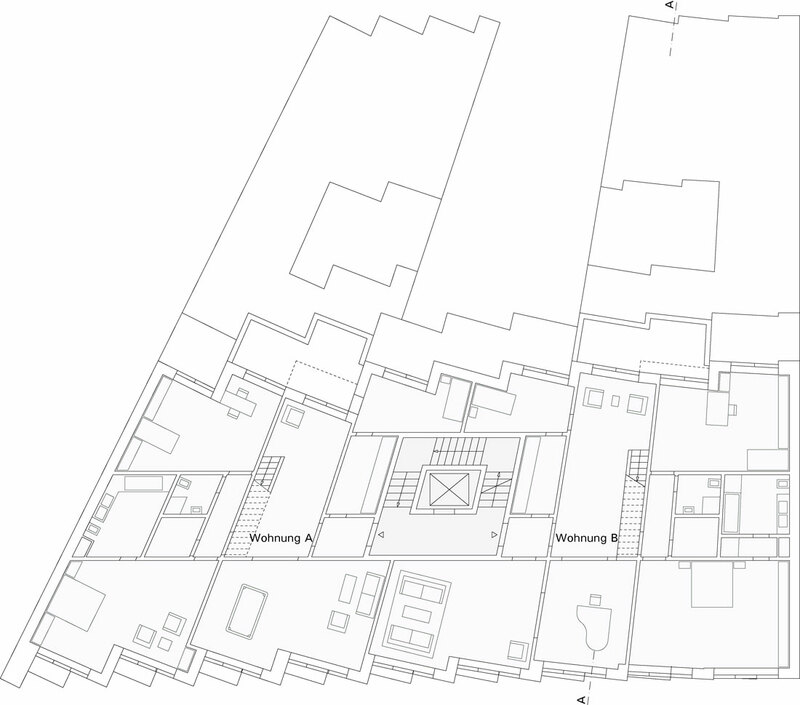 To the block interior, the building staggers in several steps, creating generous terraces.